One of the most common things people tell us about their old resumes is, "It worked five years ago to get my most recent job. I don't know why it isn't working now." Things change all the time, especially when you mix volatile ingredients like technology, the job market, and recruiters together. What worked in a resume just a couple of years ago may not be appropriate now. Information that was relevant five years ago may not matter now. Information commonly included on resumes in the 70's or 80's may actually result in your resume being eliminated from consideration today. Be smart – use a fresh resume to find your new job! Your personal life is just that -- personal - One candidate included that he spent summers on his family's yacht in Grand Cayman, while another included family medical history. Hiring managers don't need to know personal information such as your waistline measurement or where you spend your summer vacations. Instead, include information on activities that are business-related such as memberships in professional organizations and community service involvement. Simple. Bold. Professional - Using pale blue paper with teddy bears around the border (like one candidate did) is not going to strike anyone as anything but weird. Three key ideas to keep in mind when formatting your resume are: simple, bold and professional. Instead of flashy formatting and stationary with borders or graphics, create a clean and polished document on resume paper with consistent formatting for headings and bullet points. To gain a hiring managers attention, use strong action words such as achieved and managed instead of unconventional fonts or colored text. One size does NOT fit all - If you're applying for a sales position, it wouldn't make much sense to focus on your experience in an unrelated field like education or information technology. Not only should you play up achievements and experience specific to the job you're applying for, but also provide quantifiable results. For example, it's easy to say that you have experience in sales, but employers will take note if you say that you were responsible for a 10 percent growth in overall sales. Two sets of eyes are better than one - After you proofread your resume a few times, ask someone else to review it. A second pair of eyes may be able to catch mistakes you missed and could provide a fresh perspective on how to improve your resume. Confidential Resume of is plastered at the top of your resume atop your name. Such a header is unnecessary and redundant. Including a fax number in your contact information. Think about this – why would an employer need this gem of information? Rather you need to have an email address which goes to your "personal" account -- NOT your existing employer's email address for you. The title of objective at the beginning. Objectives have fallen away and the use of a branding line and strong summary has replaced them. Detail your entire work history back to 1980. Employers are primarily interested in the most recent ten to twelve years of experience. Unless something from the distant past has immediate significance, it probably has no beneficial place on the resume. Hobbies and interests take up space on your resume. While interests may be fodder for small talk in an interview, they have no place on a resume, a document whose sole purpose is to win the interview. The fact that you like to scrapbook or fly fish is not going to encourage the employer to call you for an interview. Resume as one long list of bulleted statements. The use of bullets came into fashion when the word processor made them possible back in the 80's. Bullets still have a role on a resume, but they should not start every sentence or line. Including office machine skills such as able to work a fax machine, copier, and postage machine. 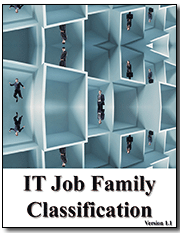 Mentioning your spouse, your children, your age, or reasons you left past jobs in the resume or cover letter. None of this information has a place on a resume and may actually result in problems in your job search. How you handle your highly wired work life when you're ready to leave one job for another can mean the difference between a graceful exit and one marred by legal wrangling. Be scrupulous about keeping little, if any, personal data on your corporate-issued gear -- regularly delete that kind of info from your work machine, especially if you think you may soon be in the job market, voluntarily or otherwise. Don't use social media like Facebook to invite former colleagues to join you at your new job -- this could get you in legal hot water, especially if you signed a non-solicitation agreement with your previous employer. Don't re-use blogs posting that you wrote, even if on your personal time, that concern your previous employer or any work you did while there. Consult your employee manual about which files you're allowed to take with you. Even removing photos of your kids after you've given notice could send up red flags. Don't Tweet or post details about your departure. You could be endangering exit agreements or spreading the news to broadly.